Five members of the etsyRAIN street team will be selling at the Buyers Market of American Craft in Baltimore, MD this July. 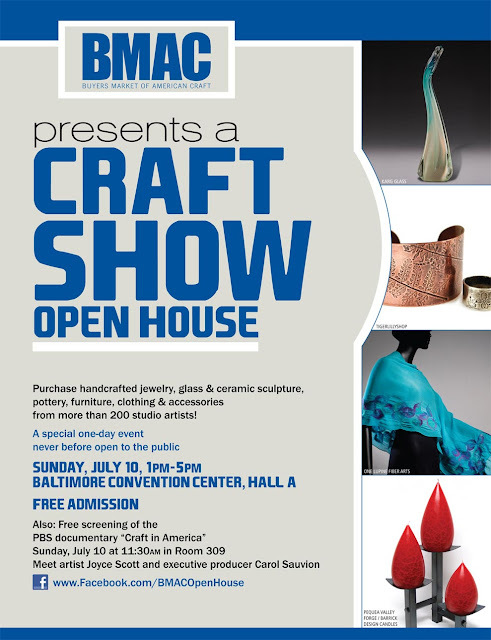 The BMAC is opening for the first time to the public for retail sales / preview on Sunday, July 10 at 1pm to 5pm. Stop by booth 1319 to say Hi! If you are a wholesale buyer, the BMAC will be open July 11-13 for wholesale accounts.